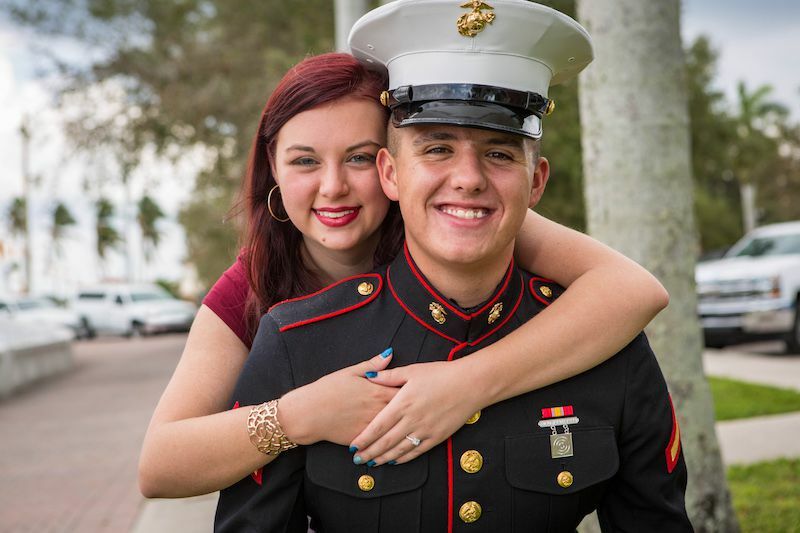 From classmates to soulmates, Hunter Knuckles and Anna Sams share the most adorable and surprising "How We Met Story." 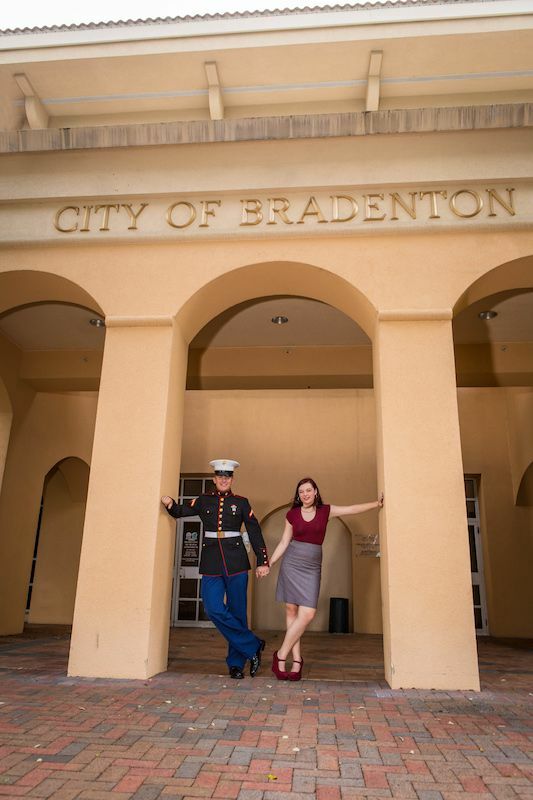 Engaged before twenty years old and forever grateful for the Manatee High School drama performance that initially brought them closer together--these two kids share an incredibly unlikely narrative for this day and age: they're high school sweethearts! 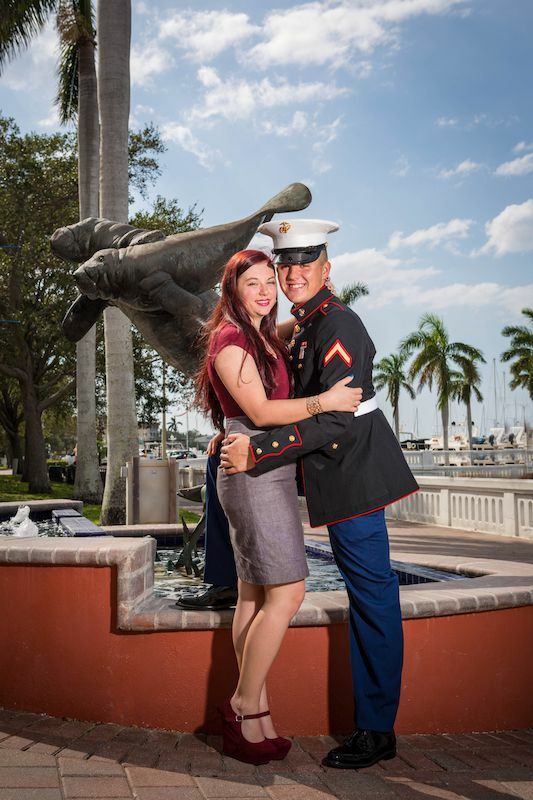 Their courtship has been in the works for the past three years, and they've been talking about marriage for nearly their entire relationship. 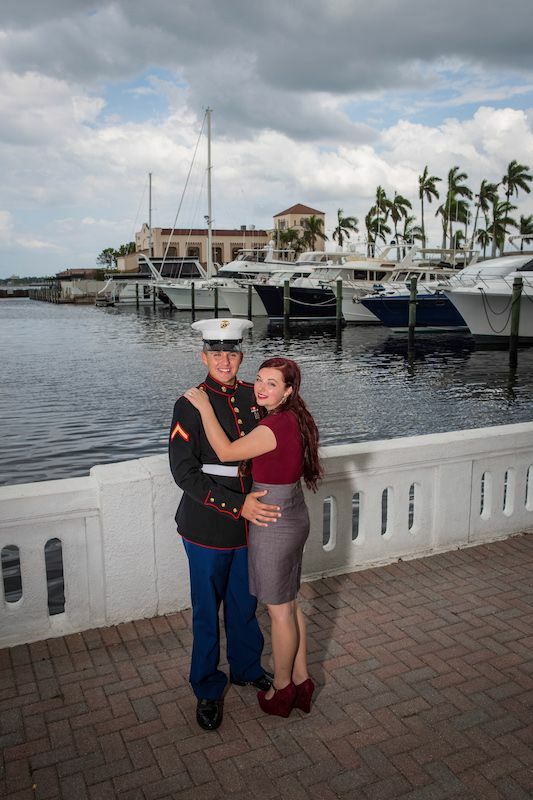 The hurry to make it official was prompted when Hunter received orders that he would be serving the Marines in Okinawa, Japan for the next two years! 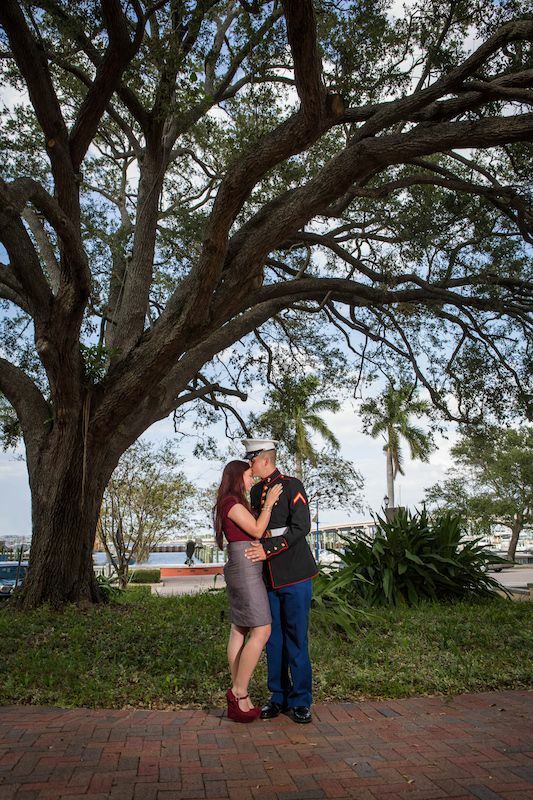 Bradenton, Florida has a profound significance for the couple. It's where they grew up and fell in love. 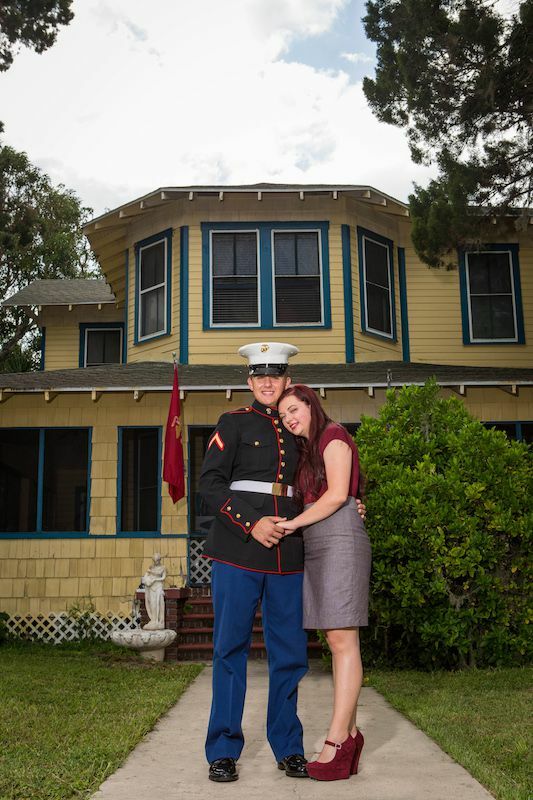 The locale was an especially important factor for Hunter as he considered where he would propose. 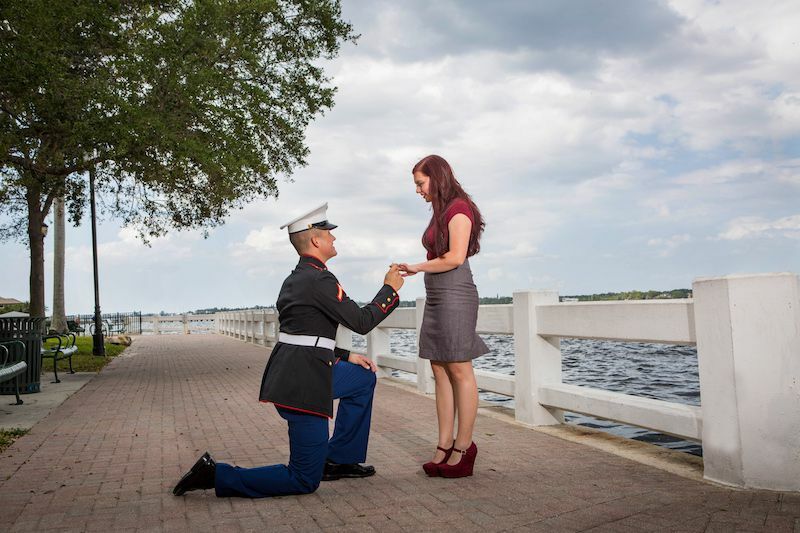 After conducting careful research, Hunter surprised Anna with a magical waterside dinner at PIER 22, the landmark restaurant and venue in the heart of downtown Bradenton, Florida; he upped the wow factor when he got down on one knee as the sun set over the Manatee River. "I'm a native around here, and I've seen the sunset from just about every angle around town, the sunset was absolutely stunning... that night and Anna was gorgeous," Hunter said. "She had her suspicions," Hunter affirmed. "Our first Christmas together, he gave me a promise ring, Anna remembered... and for it to finally be official is really cool. It's still the glowy stage, and I can't stop staring at my ring," she giggled. 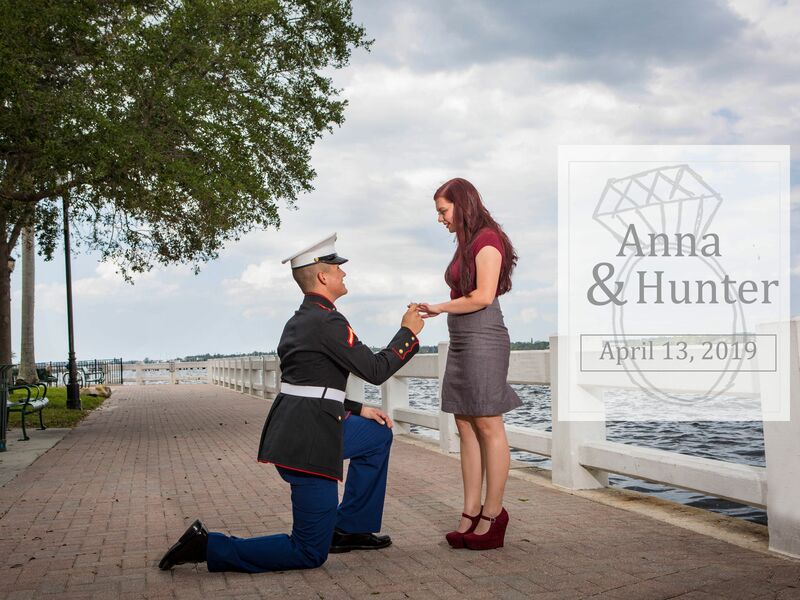 Hunter had been planning to ask for weeks, and he was anxious to pop the big question that night, but what truly had him sweating was earlier when he went to ask Anna's father for her hand. "He was happy I asked, but I was really nervous," Hunter said. These two crazy kids are getting married! April 13, 2019. 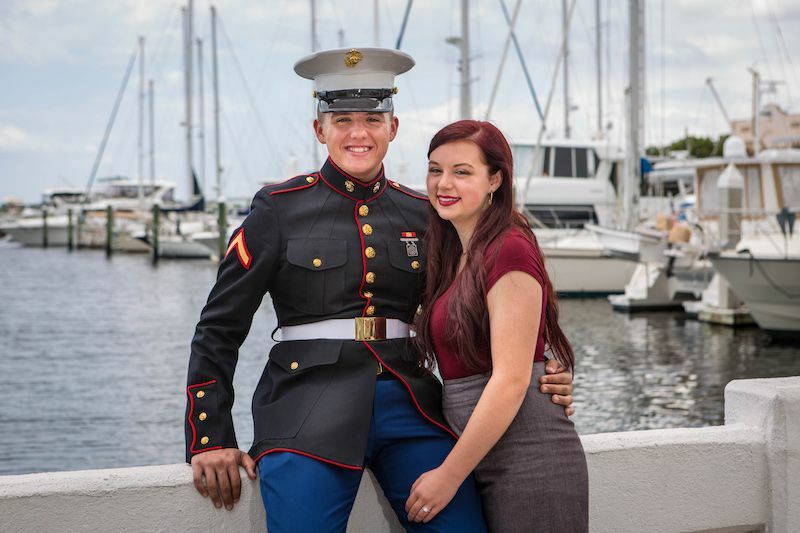 Anna and Hunter's waiter filmed the entire proposal, and when PIER 22 restaurant owner, Hugh Miller, heard the wonderful news, he offered to help the newly engaged couple with spreading the word. 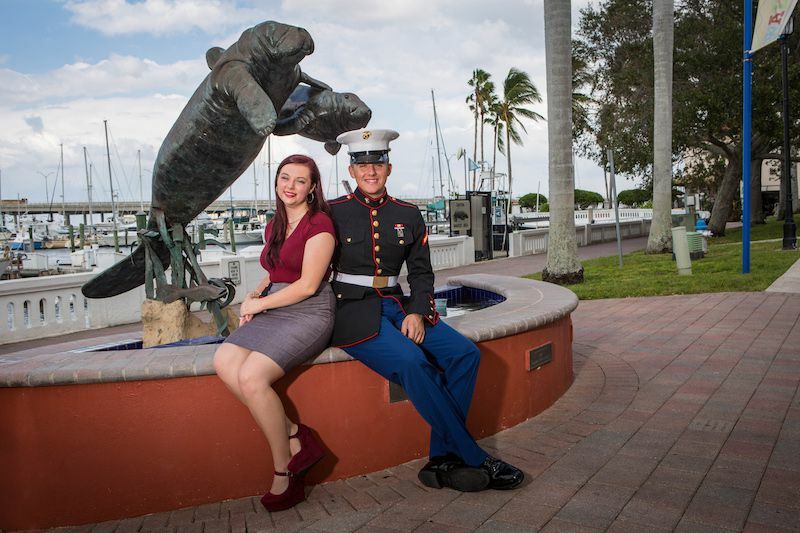 At the insistence of Hugh Miller and the PIER 22 events team, Hunter and Anna returned to the restaurant days later for an engagement photo shoot. Their engagement took place on a Friday, and Knuckles took off to Japan the following Wednesday.